Take part in the challenges on the new flow and enduro trails. Face with your team the games on Tutti Frutti Epic. Have fun on 1000 meters D-. Explore in e-bike untouched places on the border between Italy and Switzerland. Share your passion with new friens. Live the athmosphere at the village with live music and night bonfires. Everything in one week-end. The greatest bike week-end in Livigno. From Friday, July 13th to Sunday, July 15th 2018. The village is at the start of the Carosello 3000 in San Rocco gondola (n° 11). Free parking available. Video shot around Los Angeles and Hollywood with Hans Rey, Missy Giove e Timmi C. – Rage Against the Machine’s rockstar and bassist. Team event (3-5 persons) on the Tutti Frutti Epic Tour. You’ll ride with your friends along the whole Mountain searching for various check points, taking photo sas proves. Go in search of a marmot, of a hut waitress named Ilenia or make a dip in the river. Challenges of courage, creativity and strategy to get the highest score. For the best, Crankbrother prizes. Suggested bikes: enduro, all mountain, fat-bike, x-country, e-bike. A vertical drop of 1000 meters and a never ending trail. How many times you can ride down in a day? It’s a competition against yourself, or against your friends, open to bikes of all kinds: from XC and fatbike to enduro. After the sold-out of the 2015 and 2016 editions, 3K comes back to Carosello 3000 on a route that includes the brand new trail Bikers United. The new trail combines the flow and enduro features. Suggested bikes: enduro, all mountain, fat-bike. A unique occasion to experience a new interesting use of the e-bike: to reach places unreachable with your bike, to conquer single. Music, Mountain games, beer garden, grill, bike kids area and much more. Subscriptions on the spot starting from Friday. (1)Valid for the Tutti Frutti Team Challenge and 3k Up&Down or Wild Goat e-tour, does not include the Bike Pass. (2)Valid for the Tutti Frutti Team Challenge or 3k Up&Down or Wild Goat e-tour, does not include the Bike Pass. (1)For kids under 12 years old (born from 2007 and after). 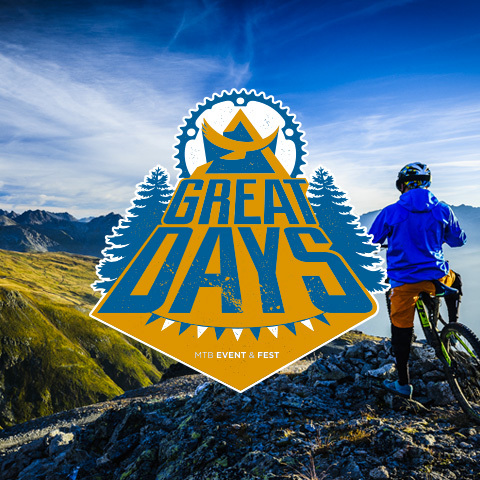 The “Great Days Pass” includes 3 days Bikepass (from Friday to Sunday) valid for the Mountain of Carosello 3000, ticket for the event “Tutti Frutti Team Challenge”, lunch and dinner on Saturday, ticket for the event “3K Up&Down” or “Wild Goat e-bike tour”, gadgets and lunch on Sunday. The “Great Days Pass – 1 day” includes 1 day Bikepass valid for the Carosello 3000 Mountain, the participation to the initiatives and lunches/dinners in the program of the day purchased. The registration to the event does not include the accommodation. In order to ensure a good service for mtb enthusiasts, we suggest to book in Bike Hotels or Bike Apartements. Free access to the event area for non-participants. 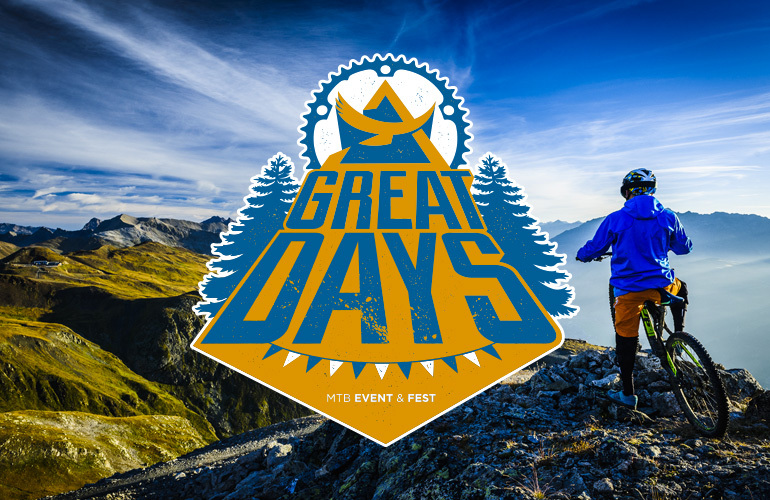 See the Great Days event on Facebook.